Every apartment and rental townhome at Creekstone Village began with a carefully crafted plan. Before we so much as picked up a hammer, we made sure every home here was perfectly designed to give you a space youâ€™ll love. Then we put an equal amount of care into the construction. The result? Gorgeous Anne Arundel County apartments and rental townhomes that are as well-thought-out as they are well-built. 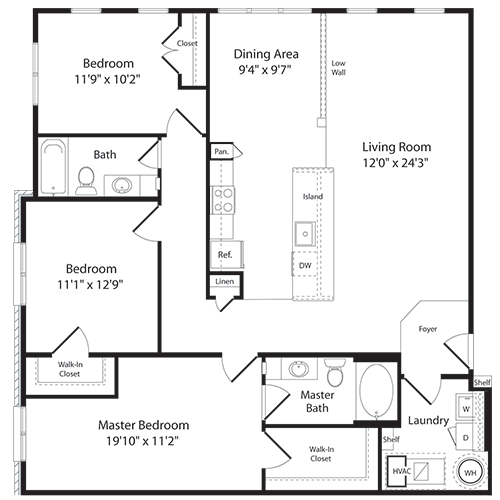 Take a moment to explore the floor plans we have available.